Transparency and visibility - Taxpayers should know that a tax exists and how and when it is imposed upon them and others. Accountability to taxpayers - Accessibility and visibility of information on tax laws and their development, modification and purpose are necessary for taxpayers. If people better understand our tax rules and policies, they are more likely to question why, for example, a special rule exists or was introduced or enacted, why permanent or temporary, how a deduction benefits those in higher brackets more than those in lower brackets (unless there is a phase-out), marginal tax rates and relevance, and that the amount of one's refund has little to do with their total tax liability. They would ask better questions of elected officials and those running for office. They would be better aware of the taxes they and others owe. And, hopefully, compliance would improve and be something we are proud of and celebrate. 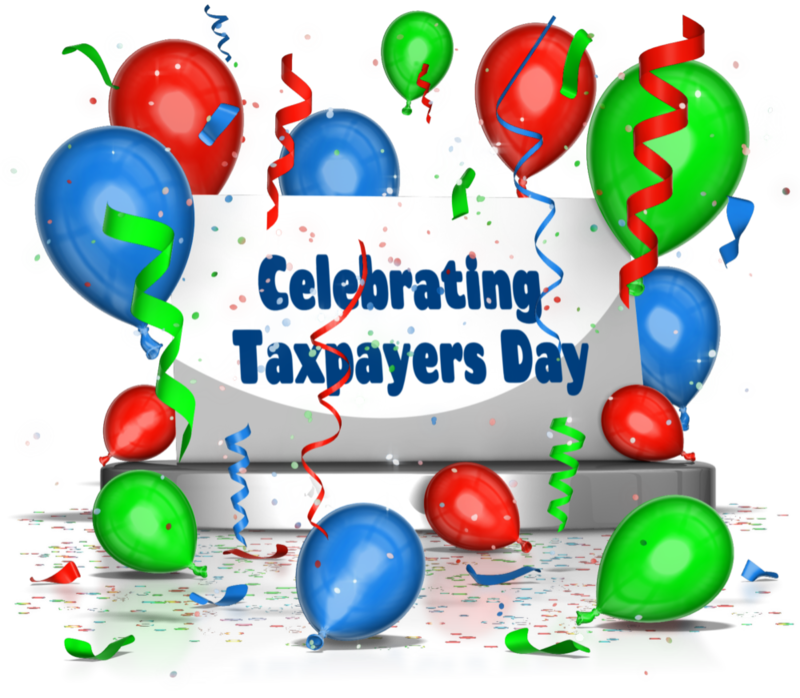 Here are three recent events that lead me to suggest starting a Celebrating Taxpayers Day. "As the tax filing deadline approaches on April 15, I’d like to thank taxpayers for taking the time to file and pay their taxes. Our nation’s tax system is built around the concept of voluntary tax compliance, meaning citizens comply with their civic duty each year by preparing and filing their taxes – without direct government intervention. This principle has helped make our tax system a model for the entire world. Thanks to taxpayers, this system helps fund our great nation. Each year, 95% of the gross receipts of our country flows through the IRS – about $3.5 trillion last year – funding critical aspects of the U.S., ranging from roads and schools to the nation’s military." Why not make this "thank you" an annual event on a specified date with an explanation of why taxpayers should be thanked, the importance of voluntary compliance, and seize an opportunity to build and support positive tax morale. 2. In my research I came across a 2015 OECD report, Building Tax Culture, Compliance and citizenship: A Global Source Book on Taxpayer Education. It lists activities of 28 developing countries for promoting tax compliance. A few of them have celebration days. For example, Rwanda has an annual Taxpayers Day celebrating compliance and helping citizens understand and appreciate how taxes and the country's development are connected. The president officiates at the event and a report on tax revenue data and tax agency challenges is released. Bangladesh holds a National Income Tax Day 15 days before the tax due date. There are street processions, workshops, conferences and tax clinics. They also show documentaries and dramas on taxation. Celebrating Taxpayers Day in the U.S. could be educational and a reminder of the importance of taxes to our economy and society. It could also be a day where state and local governments help explain their taxes and budgets to their citizens, an opportunity for debates on current tax issues, and release of important government reports about our tax and budget systems. All levels of government release many tax and budget reports throughout the year, why not highlight some key ones on April 30 to draw greater attention to them? 3. Our tax gaps are growing - The IRS estimates the federal tax gap at $458 billion per year. This is more than we collect from the corporate income tax even before the corporate rate was lowered by the Tax Cuts and Jobs Act. A report from the Treasury Inspector General for Tax Administration (TIGTA), Expansion of the Gig Economy Warrants Focus on Improving Self-Employment Tax Compliance (2/14/19) reports some alarming data that indicates we need greater taxpayer education and to better support positive taxpayer morale. Among many findings was that 25% of individuals in a sample of 3.8 milion gig workers filed a 1040, but didn't report their gig income on either the other income line or Schedule C. And, 13% with self-employment tax income who received Form 1099-K did not include Schedule SE or pay their SE tax with their 1040. The IRS also found a 237% increase from 2012 to 2015 in discrepancies between Forms 1099-K filed and what was reported on Forms 1040. A 2018 report from the California Franchise Tax Board found that about 70% of gig economy service providers receive no tax reporting form, which increases non-compliance. With understanding of tax rules and recordkeeping low, compliance without reporting forms become a bigger challenge and frustration. A 2018 QuickBooks survey found that 32% of self-employed individuals admit they don't report all of their income. The above threee items indicate to me that a Celebrating Taxpayers Day would be a positive step in building respect for our tax systems, building a culture of filing and paying and being proud of that fact, and improving understanding of our tax systems. And, hopefully have some fun with it! Why April 30? Well, people are still busy on April 15 filing and sometimes due to weekends and Emancipation Day, filing day falls on April 16 or 17 or 18. April 16 is Emancipation Day (the day in 1862 when President Lincoln signed an emancipation decree for the District of Columbia). April 30 gives preparers time to recover, and individuals getting refunds to hopefully have them in time for the celebration. In history, April 30 is the day George Washington was inaugurated (1789), the U.S. Navy was formed (1798), San Jose State University formed** (1857), the ice cream cone was unveiled in the U.S. at the World's Fair in St. Louis (1904), and the World Wide Web emerged in the public domain by Tim Berners-Lee (1989) and its source code was released to the public in 1993. On April 30, we still have income tax filings on our mind and have time to reflect on such things as, "well, next year, I'll keep better records," or "perhaps I should adjust my withholding." So April 30 would be a good day to help taxpayer get their tax compliance needs in order (January 1 would be better, but we all have too many other things we're focused on then). Also, bills are making their way through Congress, and June and November elections are coming up, and K-12 is still in session. Yes, there is something called Tax Freedom Day® by the well-respected Tax Foundation. They describe this day as the one marking "how long Americans as a whole have to work in order to pay the nation’s tax burden." For 2019, it is April 16. It isn't a national celebration day though. Also, this information is useful, but I find it is easily misunderstood. Most people do not work until April 16 to pay their taxes but think they do when they hear this information, which harms understanding of our tax system. But it would be a good topic for discussion for April 30 Celebrate Taxpayers Day, to help improve tax literacy and transparency. So, Celebrating Taxpayers Day on April 30. What do you think? *See for example, Nellen, "'Oh, I See': Suggestions for Greater Tax Transparency," State Tax Notes, 11/20/17. 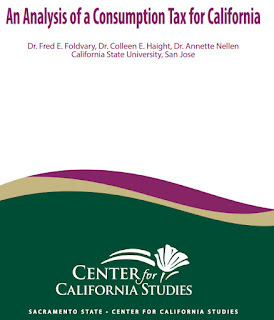 Also, Nellen, Suggestions for Improved Transparency and Accountability of California Taxes and Related Information, 10/12/18. **I'm not suggesting April 30 for the SJSU connection. In fact, I wasn't focused on the exact date of the founding of Minns' Evening Normal School (how SJSU started in San Francisco); on campus, we all just say SJSU was founded in 1857 (btw, I'm one of SJSU's historians). The TCJA also allows for use of the cash method by businesses with average annual gross receipts in the prior 3-year period of $25 million or less ($26 million starting in 2019). Yet, despite the higher Section 179 amount and the use of the cash method, a small business might still be amortizing such items as acquired intangibles, start-up expenditures and organizational expenditures. 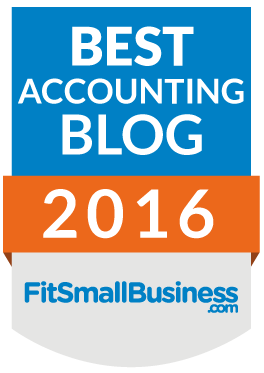 Further simplify accounting method rules for small businesses (such as allowing completed contract accounting). Increase the deduction thresholds under sections 195, 248 and 709 and adjust them for inflation. Simplify retirement plan options and rules for self-employed individuals. Modernize the definition of tax shelter (the one used in the TCJA is from 1986 before we had the passive activity loss limitation rules and before LLCs were used in all states as a common business vehicle). Repeal the individual and estate and trust AMT - the corporate AMT was repealed; this should have also have at least been done with respect to business preferences for all taxpayers. Relax the exclusive use requirement for a home office deduction (anyone taking their smartphone into their home office likely has violated the exclusive use requirement). Allow a deduction for health insurance of self-employed individuals in computing self-employment tax. Increase the current, longstanding $400 self-employment earnings threshold. Provide similar treatment for all businesses with respect to deducting state and local income taxes - corporations can deduct all of their taxes, all businesses should be allowed the same treatment. Today, the $10,000 SALT cap also applies to income taxes attributable to an individual's sole proprietor, partnership or S corp income. Limit section 461(l) and the 80% limitation on NOLs of section 172 for start-up businesses. Require all estimated tax payments to be due on the 15th day after quarter end. For details, see the complete position paper here. I think it's a great list of ideas (truth in writing - I proudly chair the AICPA Tax Executive Committee who assembled this list with help from other tax section volunteers and staff). Blog posts are my own. That is a true and interesting observation. 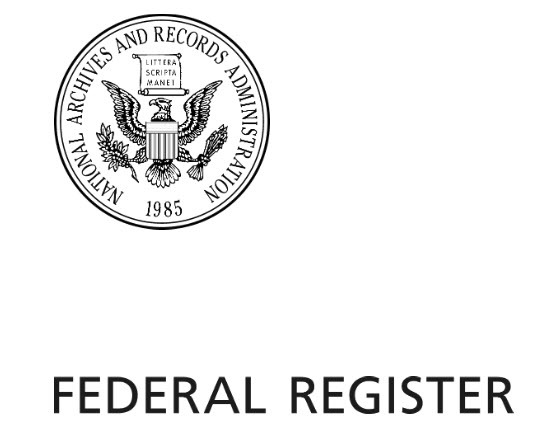 89% of individuals e-file there return. Yet other interactions with the IRS will be by phone or the U.S. Post Office. Will IT modernization include taxpayer accounts where taxpayer not only pay their taxes but can also change withholding, make estimated tax payments, amend their return, etc.? Today, March 13, the IRS issues a news release that $1.4 billion is waiting to be claimed by individuals who have not yet filed their 2015 returns! 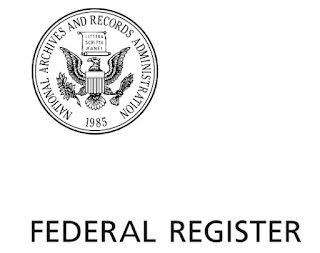 [IR-2019-38] If tax compliance were done virtually, with the IRS using data it has, the filing could be done automatically and refunds issued to bank accounts. Or at least the IRS could more easily reach taxpayer via a text message, for example, to let them know they need to file and are likely owed a refund.